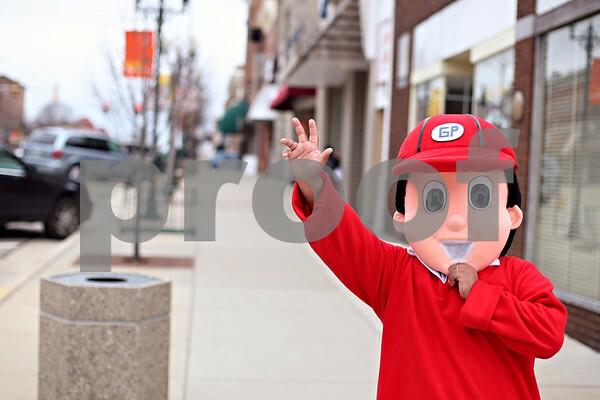 Javier Valencia, an employee for Going Postal, waves to drivers in costume as the new company's mascot in Sycamore, Ill., on Wednesday March 18, 2009. "(The costume) kind of transforms me." Valencia said. "You get in the suit and you're a different person."